The Bharat Earth Movers Limited (BEML) was incorporated by the Ministry of Defense in 1964. The BEML has manufacturing facilities in Bangalore, Mysore, and the Kolar Gold Fields (KGF). The Bangalore plant manufactures railway coaches, overhead electric inspection cars, BEML-Tatra heavy-duty trucks, and other defense goods such as ejector and air cleanser assemblies. The Mysore unit manufactures off-highway dumpers, motor graders, and internal combustion diesel engines. The KGF unit manufactures earth moving equipment and other defense goods. In 1999, the company's turnover reached $309.15 million. Of this figure, defense contracts constitute 28-30% of the company's turnover. 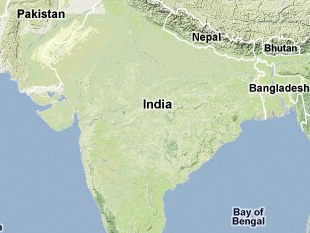 In 1999, the Indian government divested some of its shares in BEML; despite the divestment, the government retains 61% of the equity shares in the company. The BEML has collaborations with companies in Japan, United States, France, Austria, Czech Republic, and Poland. Modified Kolos Tatra eight-wheeled transporter-erector launcher vehicles for the Prithvi ballistic missile. Modified Kolos Tatra trucks that serve as command vehicles, missile reload vehicles, warhead change vehicles, propellant tankers, and other logistics support vehicles for Prithvi missile batteries. Bharat Earth Movers Limited, Department of Defence Production & Supplies, Ministry of Defence, www.defstand.gov.in. "Defence Production & Supplies," Indian Armed Forces, www.indiainfoline.com. "Earth Moving & Heavy Earth Moving Machinery & Equipment," India Mart, http://dir.indiamart.com.